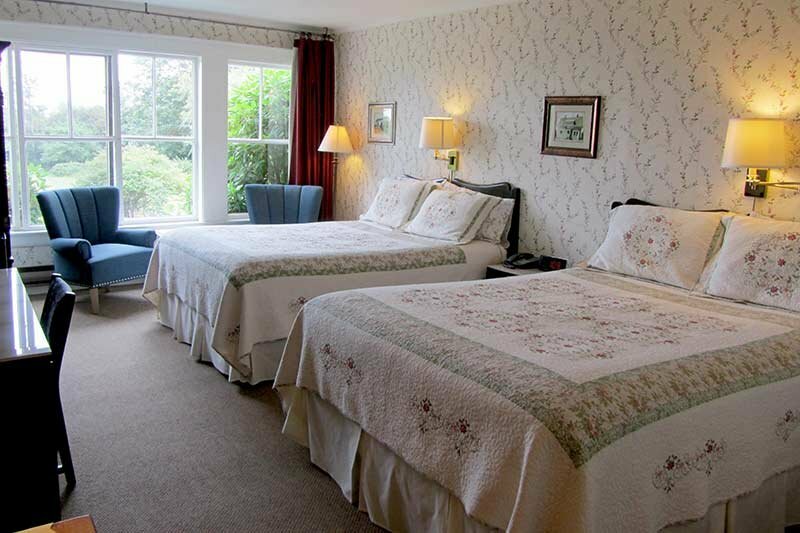 This room has two queen beds as well as a sitting area to enjoy the view of the Annapolis Basin. All of our rooms have private ensuite baths. 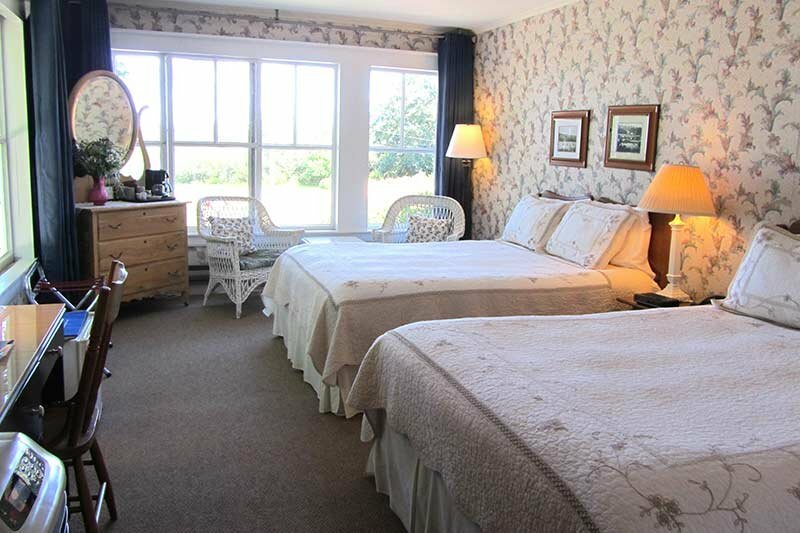 This room has two queen beds as well as a sitting area to enjoy the view of the Annapolis Basin. There are windows on two sides to this room which provides lots of light and cross-ventilation. All of our rooms have private ensuite baths.